Heat oil in a Kadai. Add cumin seeds and allow to splutter. Add coriander seeds and broken dry red chillies. Add finely chopped onions and fry till slightly brown. Add finely chopped tomatoes and cook till soft. Add all the powders and salt and fry well. Add the cubed onions and capsicum and fry. Do not over cook. 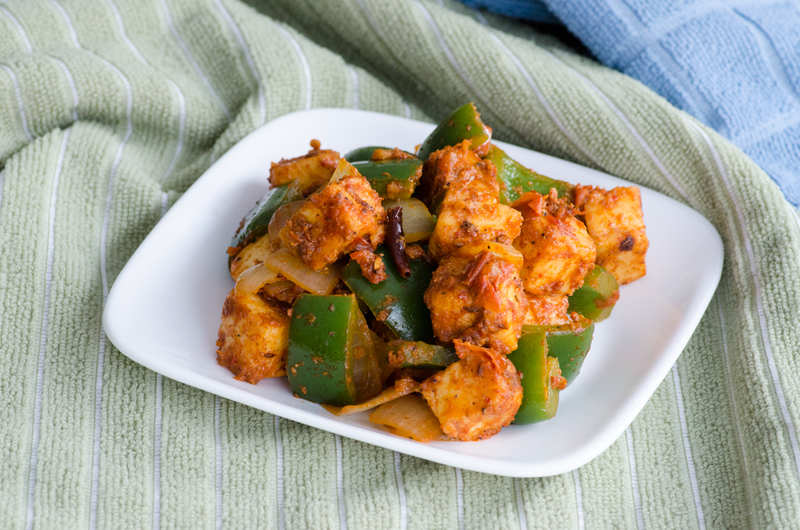 Add the paneer pieces, ginger Juliennes and chopped coriander leaves. Aloo Gobi – a lethal combination! 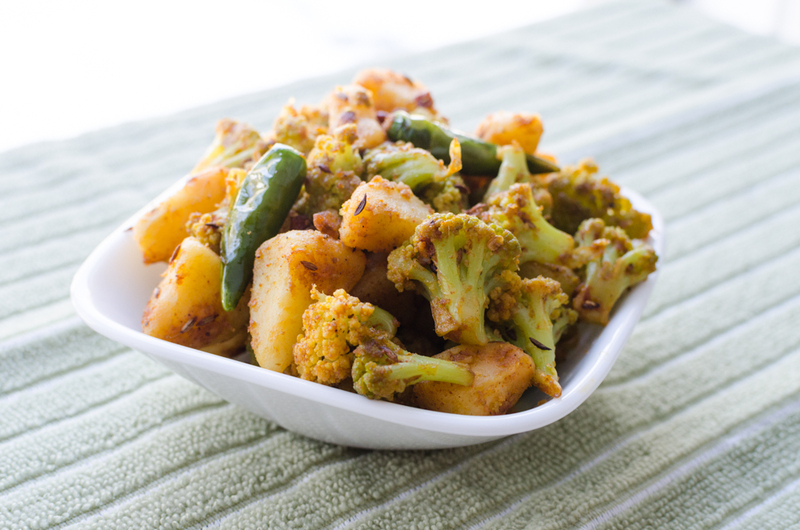 Aloo-gobi by Mum is one of our favorites. We are sure you will love this one. Potatoes are to die for! 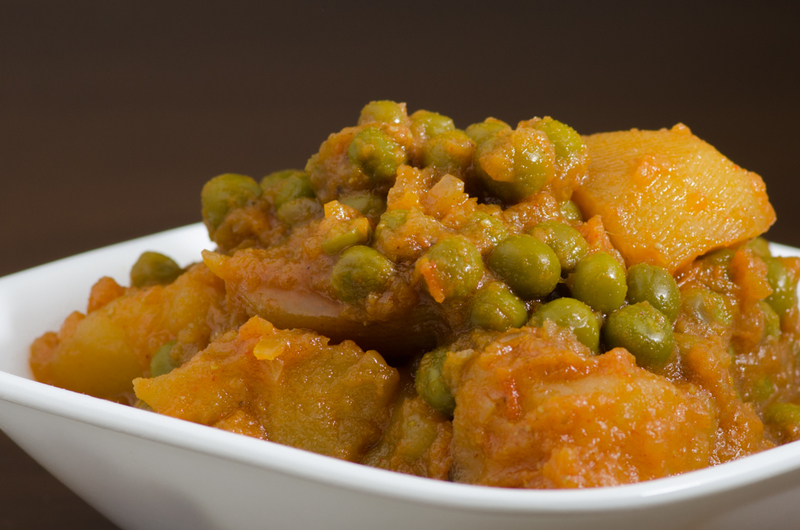 And when the combination is Potato and Peas, it’s simply heavenly! Finely chop the onion and grind tomatoes to a fine paste. Add the tomatoes and fry for sometime. Slit the. green chillies and add it too. Add sugar as this will reduce the sourness of the tomatoes. Add the potatoes and peas and fry for sometime. Add a little water and pressure cook for 2 whistles. Garnish with fresh coriander leaves and serve it with hot rotis .